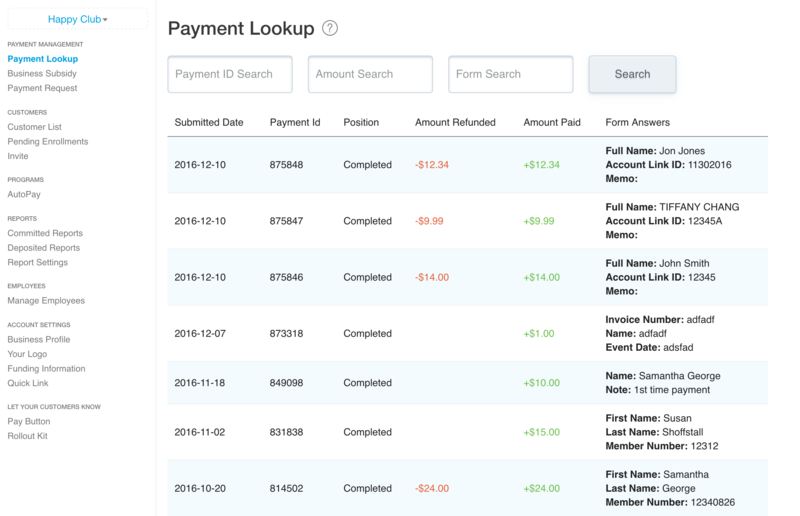 The Payment Lookup screen shows the past payment activity and payment details for your business account. Payment Position, the Amount Refunded (if applicable), the Amount of the Payment, and your particular Payment Form responses. 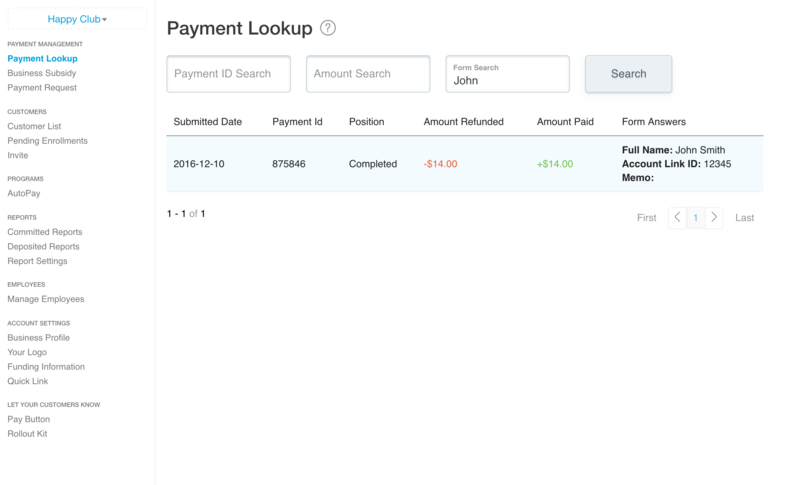 This allows you to view all the basic payment information in this preliminary view. If you'd like to view additional details for any particular payment, simply click on the line of that payment. From this view, you'll also have the ability to email a receipt by clicking on the "Receipt" button and typing in the email address to where you'd like the receipt sent. 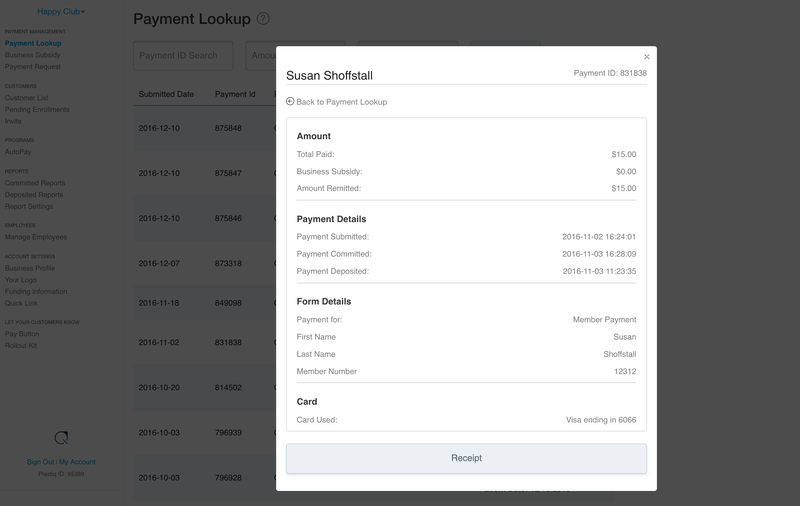 If you need to search for a particular payment, simply type in the payment's Plastiq Payment ID, Payment Amount, or something in the payment's Payment Form. Be sure you enter the search terms in the correct search box.